Apr 5th - Opening Night Film - "Mike Wallace is Here"
This promises to be an evening under the stars that is full of fun and surprises. We offer several levels of tickets, with a VIP ticket including complimentary Tito’s Handmade Vodka cocktails, Stella Artois and hors d’oeuvres. An Arts Panel Discussion follows the April 7 screening. 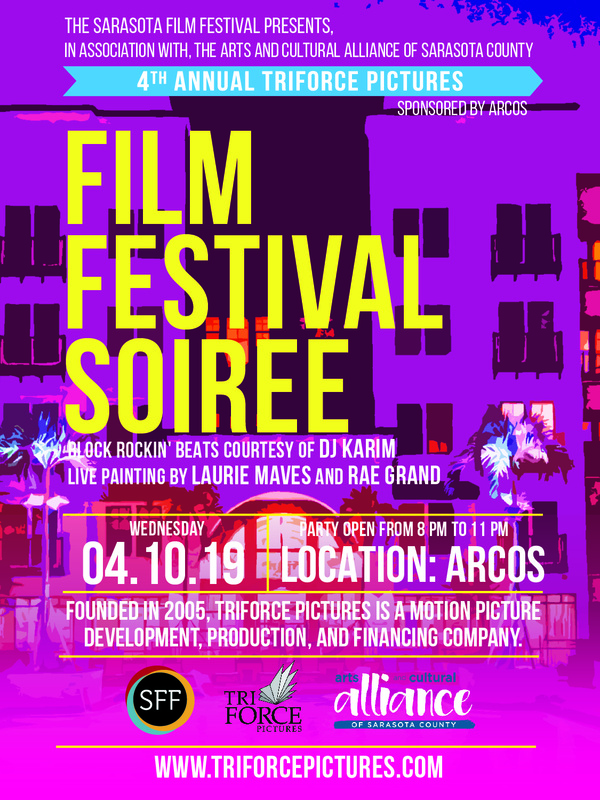 Please join the Sarasota World Affairs Council and the Sarasota Film Festival for an unforgettable French themed Jazz Soiree at the nearby Sarasota Art Center following the screening of Swing Time in Limousin”. Flying from Paris for the event film Directors Dilip and Dominique Varma will offer a brief “histoire” of the film and guests will continue the evening with wine, a catered reception "a la francaise”, and musical entertainment. This is an event that you won’t want to miss as you celebrate the unique collaboration between two of Sarasota’s prominent community based organizations. It’s been a week since our closing night party and we still can’t believe what a blast it was! Check out Tyler Butler’s video covering the event for an inside look from the event. Fun evening and great closing night party. Fantastic video. Thanks for sharing!